Barnes & Noble is offering a FREE LEGO Architecture Event on Saturday March 09, 2019 6:00 PM. 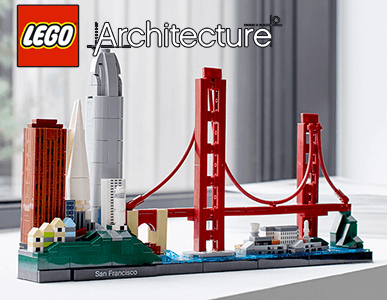 Join fellow builders to construct the newest in the LEGO Architecture series, San Francisco. Available at select stores.